Organisations are increasingly turning to Managed Service Providers (MSPs) to handle elements of their IT needs as part of a collaborative arrangement with the internal IT department, according to new research from IT industry trade association CompTIA. Managed Service Provider (MSP), as defined by Arinda, is a company that remotely manages a customer’s IT infrastructure and/or end-user systems, typically on a proactive basis and under a subscription model. MSPs, in general, is not a replacement to the company’s internal IT but as a partner. According to Carolyn April, senior director of Industry Analysis at CompTIA, very few of these companies get rid of their IT staffs just because they join up with an MSP. By partnering with MSPs, internal IT staff can focus more on highly strategic projects. As I mentioned in the previous blog post on Managed IT Services Address Australia’s Issue on Lack of IT Talents: “Managed Services Providers (MSPs) fill that need for IT talents and augment your enterprise ICT capabilities at the price point that is not going to break your IT operational budget.” These advantages of managed services make it indispensable to enterprises of various sizes with issues on recruitment for tech talents and tight IT budgets. MSP is different from the break/fix method which is a per-need basis and a one-time transaction. It works based on time-and-material wherein customers are billed for the time spent plus the cost of parts. While break/fix tend to be reactive, a managed service provider works on the prevention of the potential business operation disruption. It follows specific service level agreement that outlines its responsibilities for a fixed amount. There are different types of managed services, but here at ITSM Corp. we differentiate MSPs from each other through the value proposition they offer—it’s either they are using a cost-cutting managed services model or value-added managed services model. MSPs using this cost-cutting managed services model focus more on providing management service, primarily on desktop support, and managing and monitoring of network infrastructure, which is the traditional MSP business. This model allows companies access to skills they don’t have internally. As the name implies, this model offers cost savings as organisations need not hire an IT professional or invest for staff training. In the managed services market, the cost-saving managed services model is viewed as a low commodity. Valued-added managed services model, on the other hand, provide a range of IT solutions and assume greater scope of IT functions. MSPs using this model offer bundled solution that is tailored-fit for a particular market or business. This type of MSPs moves from the management service to a more greater responsibility for the client’s IT infrastructure. The level of responsibility is detailed on the service level agreement (SLA). 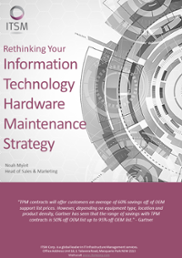 Do you want to learn more about break/fix and managed IT services? Talk to a member of ITSM’s managed services team. Call us now at +61 2 8355 1080. 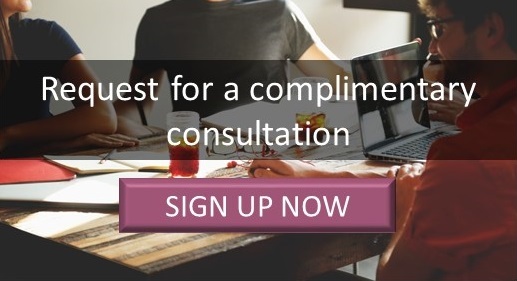 Click the button below to schedule a consultation.